Memory foam’s got nothing on this! A serene sleeping arrangement, uniquely personalized to your body shape. Once you check in, the host is happy to shuttle you around Outer Rim territories for a fee. A great way to pass the time. Note: Side effects may include but are not limited to temporary stiffness, muscle weakness, numbness, deafness, blindness and/or confusion. And in, like, suuuuuper rare cases, death. This place was transformative! It was extraordinarily peaceful and probably the best sleep I’ve ever had. It really changed my view. Can’t recommend, worst time ever. Host is a big prankster. I woke up in a different place than where I went to sleep and my clothes were all wet. It was weird. Apparently, the freezing process wasn’t designed for use on humans. Before I had time to object, I was pushed inside the freezing chamber! The real problems started when I woke up. I was exhausted, weak, dehydrated, dizzy, and blind – I couldn’t see. I was also a little hazy about how I’d even got there in the first place. Thankfully, a kind young lady helped get me some medical attention. Only then did I find out that I wasn’t in the same place I started out. It cost me a small fortune to make my way back home as I was in no state to fly. I’ve repeatedly tried to contact the host, but he is not responding to my messages. I used to try meditation all the time but I could never quite find my groove. Think of this as “Forced Meditation” but without having to stop to use the bathroom. Two thumbs up! This location is NOT fat friendly and is a bit chilly. Great way to preserve those you love! WAY better than a sensory deprivation float chamber, and cheaper too. Freezing! I won’t be back in a hurry. My cousin recommended this place to me so I decide to check it out. I get there and I walk into this weird room where I am placed into this giant steam pit. Next thing I know I’m waking up and I’m BLIND! It wears off, but I was super refreshed. I never did figure out how to go to the bathroom in that thing. The concierge has some weird kind of skin dread, I wonder if it’s contagious. Terrible music in the lobby, and had to hear a rodent laughing the entire time in the next room. A bit boutique-ie if you ask me. I was told to book it if I was into a hard rock experience. I thought, sure – I’m a music fan. Not what I was expecting. But still, its a cultural experience – and if you can get over the host’s gruff demeanor – you won’t be disappointed. Pro Tip: Tipping is not required! Although I got uninterrupted sleep, it was very cold. Thermostat was badly placed, and totally inaccessible. Not to do… it’s freezing inside! 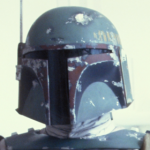 Boba Fett is fairly reserved and soft-spoken, but his Mandalorian armour is on fleek. For a good time, ask him about his Wookiee scalps.